Explore how new technology, workplace change and consumer demands might impact the future of work. Read Facilitator Lisa Denny's opinion piece on the Future of Work which ran in the Mercury. Watch online or catch up later via Livestream. Listen to Lisa's ABC Radio interview (MP3 868KB) on the morning of the 3 October. Robotics, artificial intelligence, digital disruption – how will technology affect Tasmania’s key industries? What do workplace changes hold for the future of the state? How will education providers need to adapt? Join the Institute for the Study of Social Change and the Alumni Office for a panel discussion on the future of work in Tasmania. This event features a panel of four facilitated by demographer and PhD candidate Lisa Denny and will discuss universal workplace changes possible over the next 20 years or so, sector-specific changes with a regional focus, how the education sector will need to adapt, and all set against the context of Tasmanian demographics. Supported by the Department of State Growth, through the Alumni Office at the University of Tasmania and co-hosted by the Institute for the Study of Social Change. James has held a number of senior corporate roles in the professional services and engineering construction industries and more recently led an advisory firm supporting businesses to position themselves in changing markets, from start-ups to large established organisations. With the FBC, James is involved in advocating for the next generation of business, providing open markets and enabling new business models, allowing innovation and disruption to come to market, underpinned by the need for greater sustainable and ethical business practices. James has been part of forum's and think tanks developing strategies and insight for future business models, impacts of technology, globalisation, climate change, intergenerational trends and the future of work. James holds an MBA from the AGSM, is a past Co-op Scholar from the UNSW, director of 3 start-ups, a graduate of the Australian Institute of Company Directors, Fellow of the Institute of Engineers, and is a passionate advocate for sustainable business, a thriving Australia, and business's role as a force for good. Elizabeth leads the Deloitte risk advisory practice in Tasmania and has extensive experience delivering risk consulting and internal audit. She delivers risk management and consultancy services to both public sector and private clients. Elizabeth advises her clients on matters of strategic and operational risk, deep diving in areas such as WHS, data, cyber risk and project risk. Most recently, she has assisted a number of Boards and senior management teams perform strategic risk identification and assessment, and define their risk appetite. Elizabeth is passionate about ensuring that Tasmanian industries have access to education and training that supports their business requirements today and in the future. She is an advocate for innovative mechanisms to deliver education and training in new ways that is supportive of the skills that will make our population workforce ready. 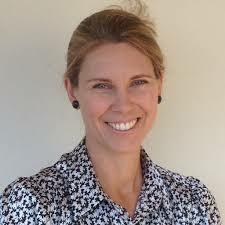 Joanna has extensive experience and ongoing involvement with the youth sector including through her current role as the CEO of Youth Network of Tasmania (YNOT). Through this role Joanna has led work which has provided contemporary insights into the current needs of young Tasmanians. Joanna currently sits on the boards of Australian Youth Affairs Coalition and Homelessness Australia, and is Chair of the National Youth Coalition for Housing, which coordinates the international awareness campaign Youth Homelessness Matters Day. In addition, she has been a member of many advisory groups and committees, and represented the community sector on a wide variety of issues at local, state and national levels. Joanna is a graduate of the Tasmanian Leaders Program and is a finalist for the Telstra Business Women’s Awards. Joanna was awarded a scholarship to complete a Masters in Social Investment through the Centre for Social Impact at Swinburne University. Lisa Denny is a Research Fellow with the Institute for the Study of Social Change at the University of Tasmania. Over the past twenty years, Lisa has accumulated a wealth of knowledge and experience in both private industry and the public sector in Tasmania. She has an intricate understanding and knowledge of the influences and drivers of Tasmania’s population and economy and a deep commitment to ensuring that the State’s potential is realised. As a demographer and quantitative researcher, Lisa provide independent demographic analysis and advice at state, regional or local level using multiple social and economic variables. Lisa’s area of interest and expertise centres on the interrelated nature of the population, education and training and work with a view to achieving economic renewal in the context of population ageing and other socio-economic scenarios. She focuses on producing empirically based evidence to inform policy and planning to improve productivity, education to employment transitions, workforce planning, equality and well-being. Lisa holds a Bachelor of Commerce, Bachelor of Arts (Hons) and a Graduate Diploma of Education (Secondary) and is currently completing a PhD with the University of Tasmania. Lisa is the Vice President of the Australian Population Association (APA), the peak professional body for demographers. Living in Hobart, Tasmania, Lisa is one of the 8.7 per cent of Tasmanians with one parent born overseas and is slightly younger than the median age of Tasmanians (but not Australians!). She also has a seven year old son.